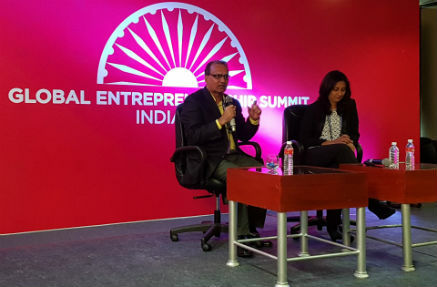 Hyderabad: Wadhwani Foundation’s flagship initiative, the National Entrepreneurship Network (NEN) today announced the launch of India’s first-ever Global Network for Entrepreneurs at the Global Entrepreneurship Summit, GES 2017 in Hyderabad International Convention Centre. Dr. Ajay Kela, President & CEO, Wadhwani Foundation made the announcement. Entrepreneurs are not born and paths to success in entrepreneurship are not necessarily akin. What makes a critical difference in the entrepreneurial journey is the expert guidance, support, and inspiration to avoid pitfalls and enable the elusive quantum leap. With an aim to accelerate the entrepreneurial journey, the ‘Wadhwani Global Network for Entrepreneurs’ is unique in a two-fold manner. Firstly, its support mechanism covers the different stages of entrepreneurship from early growth to growth stage entrepreneurs to SMEs and secondly, it has customized offerings for various levels of the entrepreneurial journey. The ‘Wadhwani Global Network for Entrepreneurs’ is supporting aspiring entrepreneurs, early and growth stage entrepreneurs, and SMEs with Accelerator & Scalerator programs curated mentors, advisors & consultants, trusted service providers and investors through the mobile apps and a dedicated site www.wfnen.org. Wadhwani Foundation has nurtured entrepreneurship in colleges in India for 14 years through student courses and launched hundreds of entrepreneurship clubs in campuses. This program inspires students and student outliers by providing facilitated learning through www.wfnen.org and LearnWISE platform. From short videos, blogs to events, webinars, boot camps and case studies, there’s plenty of student entrepreneurs keen on arming themselves with formidable skills required for business success.